Social Norms Marketing is a research based prevention approach that has been proven to lower substance abuse rates in schools. 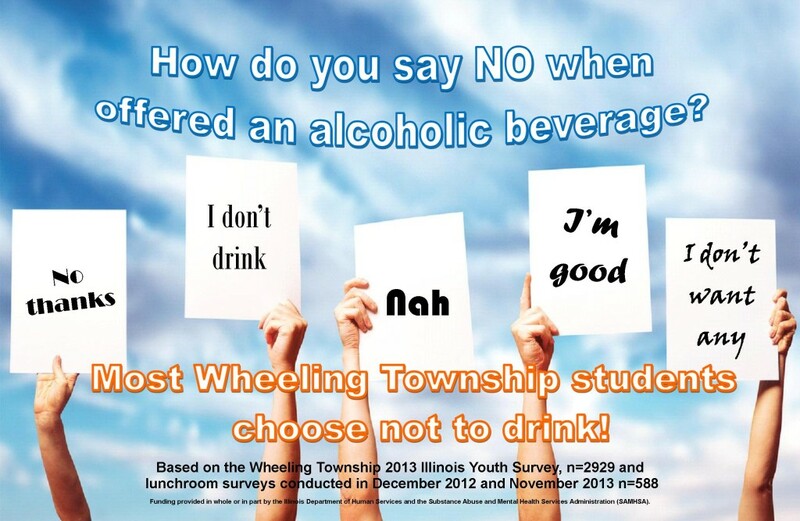 The campaign focuses on correcting over perception of current teen substance use trends. Social Norms marketing campaigns are in place at Buffalo Grove, Hersey, Prospect, Rolling Meadows and Wheeling High Schools! Below is a social norms marketing public service announcement created by Buffalo Grove High School faculty for Buffalo Grove High School students!